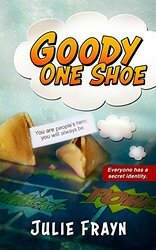 In Goody One Shoe by Julie Frayn, Billie Fullalove lost her parents and her leg all on her eleventh birthday. As an adult, she’s working in a publishing house and trying to get an editing freelance career off the ground. All around Billie injustice runs rampant but a vigilante is watching and ready to take action. Can Billie find the vigilante? Does she want to find the vigilante? 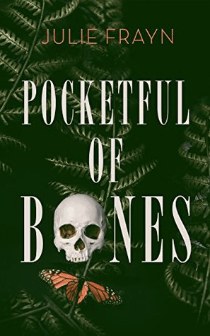 darkly funny stories dealing with life, death and the life to come after. The three short stories were originally written for and submitted to the NYC Midnight Short Story Challenge. Three short stories addressing death, child abuse and strength in the face of incredible odds. The stories contained are “Samburger and Flies,” “Eli and Ralph” and “This is Me.” These stories are difficult to read, powerfully written, emotionally draining and awesome. Frayn’s writing is flawless. There is nothing with which I can find fault. Frayn gives us a glimpse into a world that might seem bleak but is not without heroes. 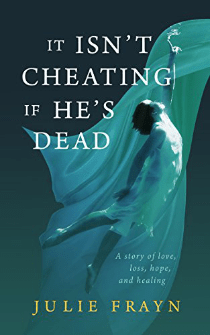 In It Isn’t Cheating if He’s Dead by Julie Frayn, Jemima Stone’s fiancé Gerald has been missing for four years. She’s been going about her life, feeding the homeless in the park and hoping that one day she’ll see Gerald. Her weekly updates with Detective Finn Wight give her the confidence that someone is looking, and he might be found. Sadly, he is found. Dead in Montreal. Gerald’s mother blames Jem for his mental illness and to some extent, she blames herself for his leaving and feels as though she’s sullying his memory when she and Finn give into their mutual attraction. Can she cleanse her soul by helping a newcomer to the park reunite with his family? He won’t talk to her, but she knows someone is looking for him as she looked for Gerald and she, with Finn’s help, is determined to return him to his loved ones. In The High King’s Embalmer by S. Copperstone, someone is trying to kill the royal family. Jibade, the royal family’s half man and half jackal embalmer is intent on trying to discover the culprit. When he finds himself hunted by the royal family themselves can he stay alive long enough to save the royals that remain? I’ve had the honor and pleasure to be asked to read some of the truly greatest books ever in 2014. Thank you to all the authors who asked me to read and review their writing. Below is a selection of the best of the best in no particular order. Thank you to Rangewoman Inc. for her invaluable help with this list and throughout the year.